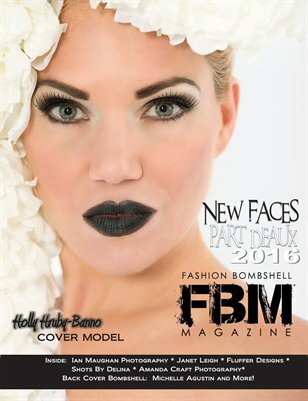 New Faces: Part Deaux showcases never before seen models inside Fashion Bombshell Magazine! We have some new photographers to showcase such as: Ian Maughan from the UK and Shot by Delina and some of our favorites like F2K Photography and Amanda Craft. Our Cover Bombshell is Holly Hruby-Banno from Florida and Michelle Agustin graces our back cover.